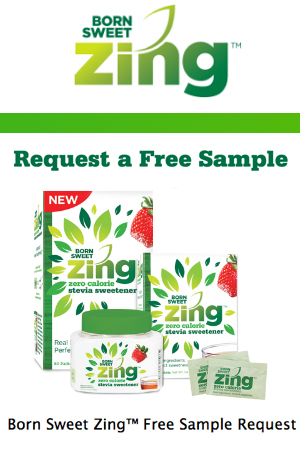 Check out this FREE sample of Zing Zero Calorie Stevia Sweetener. Made with only real ingredients, it has the sweetness found in Mother Nature’s stevia plant. Just click the “Snag This” link now & fill out the form to get your free sample and a coupon! Buy more and save big… check it out on Amazon too!